Apple is set to hold another big event on October 16th, with new iPads and possibly new Macs on the agenda. It’s something announced at the company’s last press outing that is currently making the headlines though, with Apple Pay and its impending go-live on everyone’s minds. Apple announced Apple Pay at the iPhone event that took place back on September 9th, but it has been noticeably vague about when the mobile payment service would see its first customers. Set to be available to iPhone 6 and iPhone 6 Plus customers initially and eventually rolling out to the Apple Watch when it is made available, Apple Pay will let users pay for goods and services without having to carry around a credit card. improving not just convenience but also security. One firm that was mentioned by Apple as launch partner was drug store Walgreens, and a new internal memo addressed to its employees appears to point to an October 18th launch for Apple Pay, at least in its stores. The 18th is a Saturday, which isn’t a regular launch day for Apple. Saturdays are obviously busy shopping days though, so launching a payment system on such a day is a good way of getting users into stores to try it. That comes with its own downsides though, because Saturdays are busy enough for both customers and employees without throwing a completely new type of payment into the mix. We wouldn’t want to even try and figure out what goes through the heads of retail store management though – anything is possible. Apple’s October 16th iPad announcement is set to also play host to possible Retina iMac and refreshed Mac mini announcements, with OS X Yosemite getting another outing before its release. Apple is expected to cover Apple Pay in some capacity during the event, and if the payment system is to go live just two days later, then it’s guaranteed to be another busy weekend for the folks in Cupertino. We will be covering the announcements in detail as they are rolled out, so stay tuned to our coverage on the big day – 16th of October. 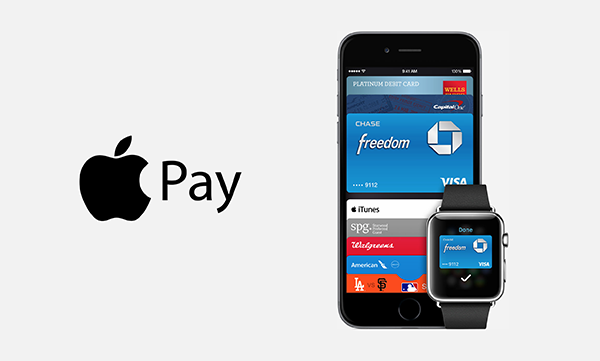 Are you excited about Apple Pay? Do share your thoughts with us in the comments section below. I wont use Apple Pay at all. Not now and never will! Stupid technology for it. Its not safe! Out of interest, why do you say it’s unsafe? Guys, honest question. Do they have to implement anything new? I have been using google wallet in walgreens since like mid 2012.